The first Boeing Stearmans were brought to Hawai'i mid-century by Murrayair to be used as crop dusters and then as trainers for pilots that moved on to Emairs. Nowadays, you will more likely see them being flown for pleasure or for sight-seeing. This particular plane was originally used for primary training throughout the continental Southeast by the military and was brought to the islands in 1990. 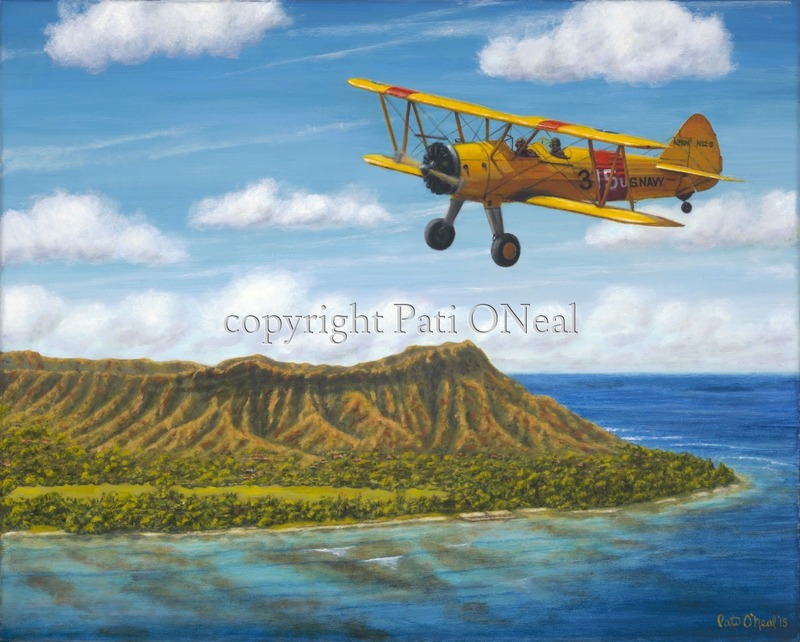 This composition depicts a historical view of iconic Diamond Head with a sunny Stearman, creating a classic scene in paradise. Framed original painting and limited edition giclées are currently available. Contact the artist for a similar commission or to purchase the original.